Homework 1 "Python and Bash Skills"
This assignment is due on Tuesday, January 29, 2019 before 11:59PM. Most homework assignments in this class can be done with a partner, but this one should be done on your own. Links to tutorials and other Python resources are posted on the resources page. This week we will start writing some code! We will be using Python for most of this course, and this assignment examines your skills writing regular expressions, control flows, and string processing in Python. Being able to process files from the command line will also be incredibly useful for your life as a computational linguist, and we ask you to implement several operations in Bash. You will submit your assignment via Gradescope. We’ll post instructions on Piazza. For this class, we expect you to have access to a Unix command line. If you have a Mac, you can open up the Terminal app. If you are on Windows, please install PuTTY or its more modern, easier-to-use cousin, MobaXterm, and follow the instructions here. The term bash refers to both the program (or shell)–run by the terminal–that you type your commands into, and the programming language you use to write those commands. There exist other shells, such as zsh or fish, but we will stick to bash. When you type commands into the shell, we refer to these as bash commands. When you write a file with a long sequence of these command, we call that a bash program. In order to learn bash, we’ve picked 3 commands for you to implement, each of which we’ve found useful in our research. These questions might be tricky; you should take advantage of Piazza and TA office hours for guidance. Our basic, and advanced bash tutorials may be of particular use. When you’ve finished getting your solutions working on the command line, use the template files bash_q1.sh, bash_q2.sh, and bash_q3.sh which can be downloaded here, and write your solution in the file. Within bash_q1.sh, the variable $1 refers to PATH_TO_FILE. This question corresponds to bash_q1.sh. For this question, you are allowed to use sed, tr, sort, uniq, and awk. A vocabulary file contains a list of all of the words in a text document along with a count of the number of occurences of each word. Given a text file, output a list of the words present, tab-separated by their frequency. The words should be ordered from least frquent to most frequent. You can assume all words are space-separated. Seven lazy researchers like using bash. 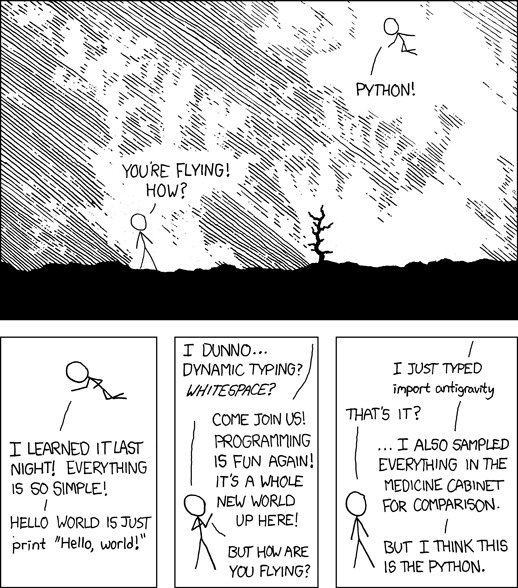 The researchers like, like Python too. This question corresponds to bash_q2.sh. For this question, you’re allowed to use ls, if statements, for statements, grep, and echo. This question corresponds to bash_q3.sh. Frequently, when dealing with large sets of experiments, you want to summarize a bunch of semi-structured results text files quickly. In this exercise, you’ll use bash to take results of the form below in the file at path $1 and pull out the accuracies as well as the name of the experiment. Note: The bash template you downloaded may ask you to average the lines. Don’t do that; follow the example above. All your answers should be added to python_questions.py, which can be downloaded here. If you’d like to include any import statements other than the ones already provided, post on Piazza for permission first. You can open, read, and write files using the aptly-named open(), read(), and write() commands. read() returns the entire contents of the file as a string. readlines() will split on the newline character and return the lines as a list, which is generally nicer for allowing you to iterate line-by-line. I won’t go through an example here, but I highly recommend playing with the csv module, which is incredibly useful and we will likely use regularly throughout the semester. No need to submit anything for this question, but you should make sure you are familiar with Python file I/O. Regular expressions are a powerful way to process text by describing text patterns. If you are new to regular expressions, Chapter 2 in the course textbook has a good introduction. In python_questions.py, fill in the functions check_for_foo_or_bar and replace_rgb according to their function docstrings. Use the builtin Python regular expressions library, whose documentation is found here. You may want to write yourself test cases to make sure you’re covering all edgecases. See the unittest documentation. I also highly recommend testing out your expressions using this fancy GUI tool. To compute the similarity between two strings of text, linguists often use a metric called edit distance. Edit distance measures how similar two strings are based on the number of insertions, deletions, and substitutions necessary to turn one of the strings into the other. Use dynamic programming to implement edit distance. Chapter 2 in the textbook provides pseudocode that you can follow. Write your solution in the edit_distance function in python_questions.py. For this part, you will need to submit your code to answer the following questions. wine.txt is in the format of one review per line, followed but a star rating between 1 and 5 (except for 3 reviews, where the review decided to go rogue and give 6 stars. Pft.) The text of the review and the star rating are separated by a single tab character. There is also a file called stopwords.txt, which you will use for question 6. In the wine_text_processing function in python_questions.py, write code that answers each of the following questions and prints the answer to standard output, followed by a newline. Since this question is meant as a tutorial, there are no secrets: your script should produce this output when you are done. If you get this output it’s very likely your code works correctly, but we will ultimately be running your code on a different input file, so start early and come ask for help if you get stuck! For questions where there are ties, please break the tie alphabetically (e.g. apple would come before banana). I highly recommend looking into the functions available in the python string module. What is the distribution over star ratings? What are the 10 most common words used across all of the reviews, and how many times is each used? How many times does the word ‘a’ appear? How many times does the word ‘fruit’ appear? How many times does the word ‘mineral’ appear? Common words (like ‘a’) are not as interesting as uncommon words (like ‘mineral’). In natural language processing, we call these common words “stop words” and often remove them before we process text. stopwords.txt gives you a list of some very common words. Remove these stopwords from your reviews. Also, try converting all the words to lower case (since we probably don’t want to count ‘fruit’ and ‘Fruit’ as two different words). Now what are the 10 most common words across all of the reviews, and how many times is each used? You should continue to use the preprocessed reviews for the following questions (lower-cased, no stopwords). What are the 10 most used words among the 5 star reviews, and how many times is each used? What are the 10 most used words among the 1 star reviews, and how many times is each used? Gather two sets of reviews: 1) Those that use the word “red” and 2) those that use the word “white”. What are the 10 most frequent words in the “red” reviews which do NOT appear in the “white” reviews? What are the 10 most frequent words in the “white” reviews which do NOT appear in the “red” reviews? Thats it! Again, you can compare your answers against our key to see if you have done things correctly. Your code is due Tuesday, January 29, 2019. Please submit the 3 bash files and the 1 Python file using Gradescope.